Driverless cars will be trialled in Milton Keynes city centre from 2015, as part of a five year pilot scheme. 100 pod devices will run on specifically marked out lanes between Milton Keynes Central train station, the centre:mk shopping centre and the offices in-between. They will be powered by an electric motor, and will travel along pavements at speeds of up to 12mph. Initially, they will be on separate lanes but the government may remove these lanes as the experiment progresses. The pods will be big enough to fit two passengers and luggage. They will also be fitted with sensors to avoid colliding with pedestrians and parked cars. A trial of the devices will begin in 2015, with a full rollout expected two years later. This will allow customers to hire pods from £2 a ride using smartphone apps to either hail or advance book one of the machines. The experiment is expected to cost £65million over the five year period, and has the backing of Business Secretary Vince Cable and Higher Education minister David Willets. Milton Keynes was chosen for the experiment because of its wide pavements. 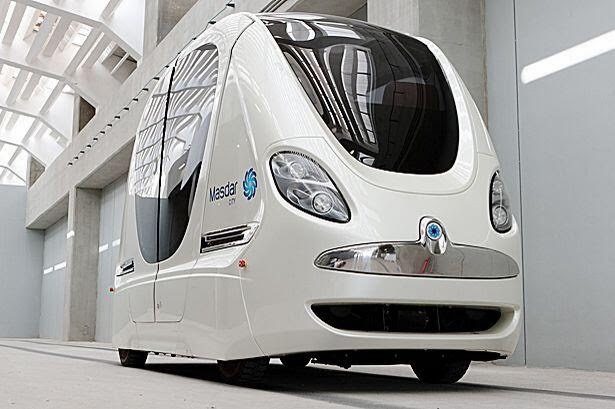 The trials will be the first driverless cars in operation on Britain’s streets.